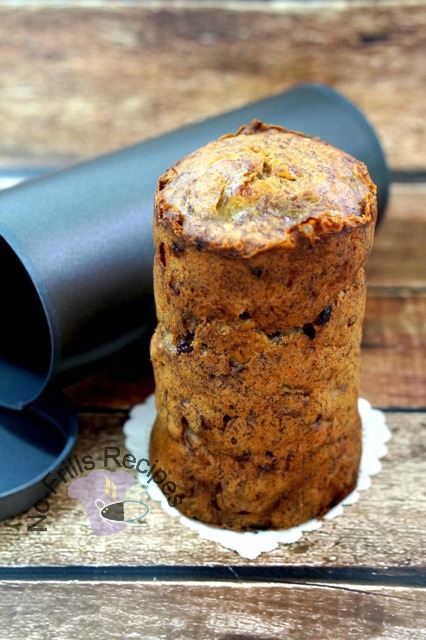 This banana bread baked in a cylindrical tin or a Nut Loaf tin has a soft, steamy texture and I especially like the top part of the bread which rose up like a mushroom. It is crunchy and chewy with a slightly sticky centre. Best to serve it warm with a slather of butter and some piping hot tea! 227 gm over-ripe bananas, mashed with a fork. Grease the tin generously with melted butter and dust it with flour. Set aside. Combine and whisk flour, sugar, baking powder, baking soda, salt, cinnamon and sultanas. Leave aside. 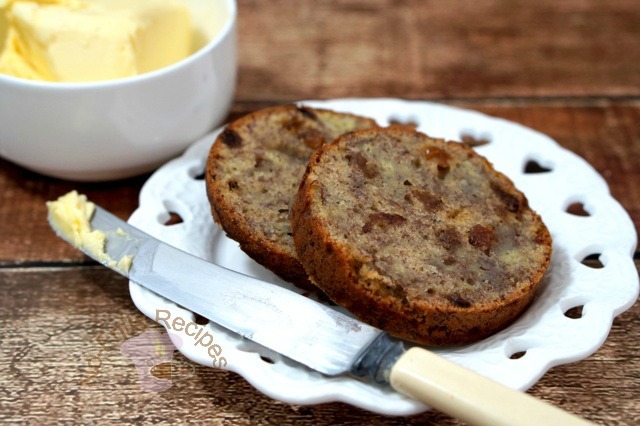 Combine mashed bananas, egg and melted butter and vanilla. Lightly fold the wet ingredients into the dry ingredients till just combined. (Mixture is thick and chunky, Do not overmix). Overmixing will result in rubbery and tough bread. Scoop mixture into the prepared pan. Mixture should only be half-filled. Close the lid and bake, Upright in a preheated oven @ 170 deg.C for 55 to 60 mins. Remove the tin form the oven, stand it upright to cool in the tin for about 5 to 10 mins. Gently open the lid and test with a skewer till it comes out clean. Gently shake the tin and loosen the bread and let it slide out and onto a wire rack to cool. 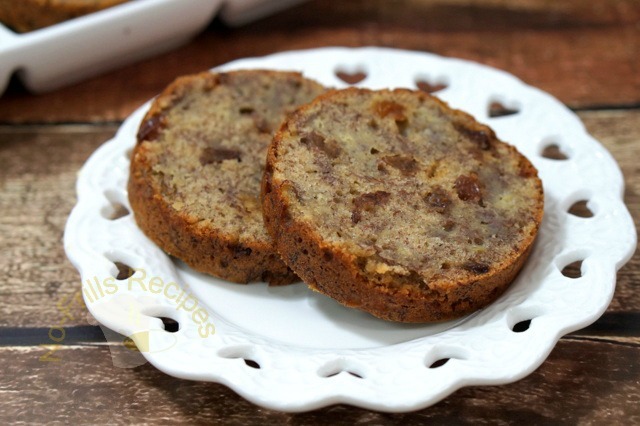 I love the pairing of banana and sultana. The bread has a very moist crumb. Excellent! 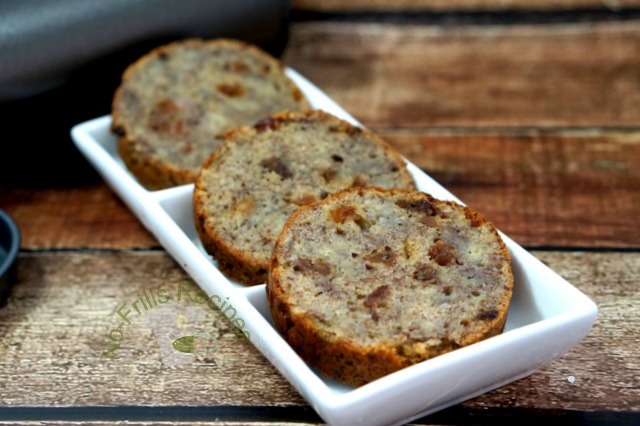 Cheah, This sultana banana bread sounds so delicious. Definitely love to give a try. Thanks for sharing the recipe! I love the idea of baking it in a cylindrical tin- it looks super cute and I can imagine the texture would be lovely!